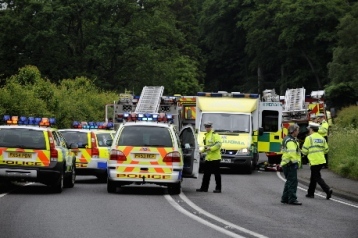 A 24-year-old woman is fighting for her life following a crash on the A69 near the Corby Hill cross-roads this morning. 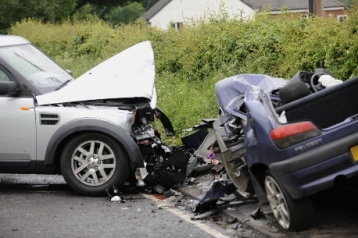 The accident, involving a Peugeot 306 and Landrover Discovery, happened about half a mile east of the village just before 9.20am. The driver of the Peugeot, a woman from the local area, had to be cut from the vehicle by firefighters. She sustained multiple injuries, including a serious head injury. Ambulance crews spent over an hour attending to her at the scene. 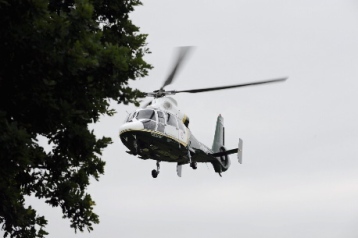 At around 10.40am she was taken by air ambulance to Newcastle hospital, where there is a specialist unit to deal with head injuries. Her injuries were described as critical. 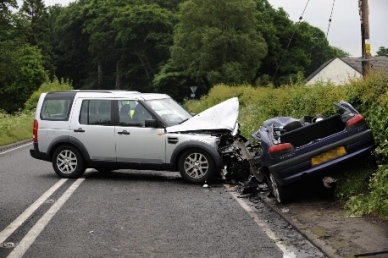 The driver of the Landrover, a 41-year-old man from Morpeth, was in shock but not badly injured. There were no passengers in either vehicle and police are currently conducting detailed investigations to determine the cause of the accident. As a result of the crash, the A69 at Warwick Bridge was blocked to all traffic, which soon backed up. Police decided to cordon off the road from the Rosehill junction and divert vehicles along the B6264 Crosby-on-Eden road. The road was reopened at 2.20pm.